ROSES THAT WILL LAST FOREVER! Let’s be honest; a bouquet of flowers will show your love for about a week. But luckily, there’s no need to spend money on flowers that will wilt away anymore! 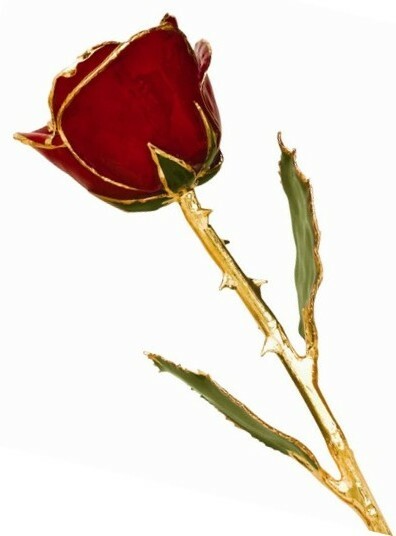 A 24 karat gold dipped long-stemmed rose is beautiful, timeless and truly unique. This eternal symbol of love is specially grown, preserved and will last forever! Give the perfect gift with lasting memories now in available in new colors and silver dipped! 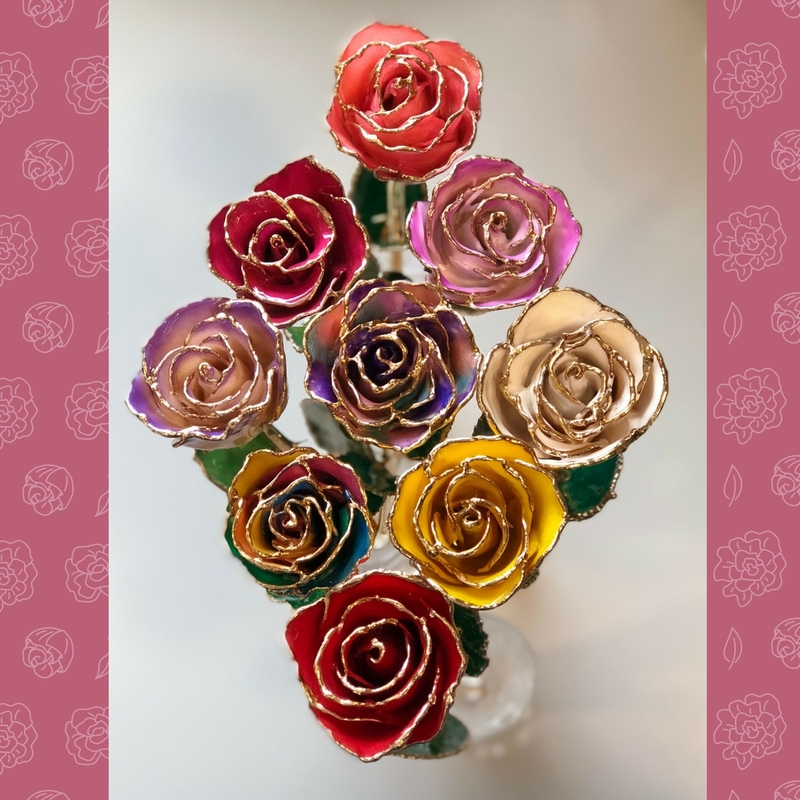 These hand picked 12” real long-stemmed rose are carefully chosen and then dipped in 24K yellow gold, allowing their vibrantly colored petals to shine. Each rose is beautifully displayed, and enclosed in a special gift box. This gift is ready for giving! Where else can you buy a gold dipped flower for only $74.95? Perfect for a Valentine’s Day, Mother’s Day, or any occasion! 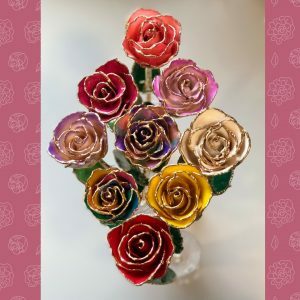 These breathtaking roses are at Harold Finkle “Your Jeweler”! Reserve your gold dipped roses & silver dipped roses today! Now accepting orders for Valentine’s Day 2019! Gold Dipped Colored Roses are $74.95 plus tax each. Solid Gold or Silver Roses are $135.00 plus tax each. Hand Cut Crystal Vase is $42.50 plus tax each. We are CLOSED on Sundays & Mondays – Submissions received on those days will receive a phone call on Tuesday. Thank You! How Did You Hear About Us? * Radio	Facebook/Instagram	Google	Friend/Relative	Sign	Other	 How Did You Hear About Us?